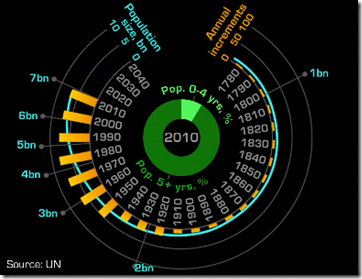 The Economist produced this video explaining population trends using a series of well designed radial diagrams, including the birth of the 7th billion living person, expected in 2011. The surprising part: after ridiculous growth in the past century, things are starting to slow down. 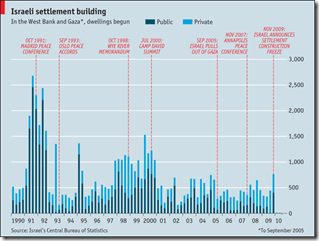 From the Economist, a graph of public and private settlements. From the BBC, a map of the settlements and a summary of previous peace talks. note: we posted a (slightly better) WSJ settlement map in Feb. 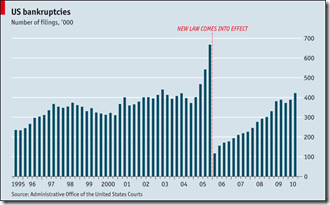 Despite the 2005 reforms that made it tougher, bankruptcies are rising steadily. 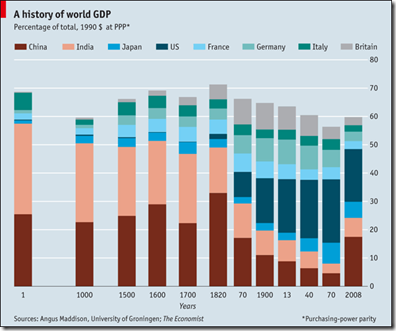 Data compiled by Angus Maddison, an economist who died earlier this year, suggest that China and India were the biggest economies in the world for almost all of the past 2000 years. Why they fell so far behind may be more of a mystery than why they are currently flourishing. 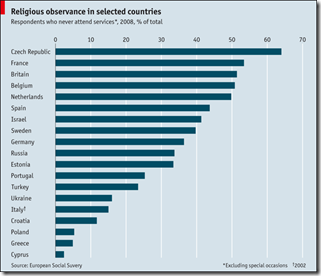 A simple chart showing the percentage of europeans that never attend religious services. 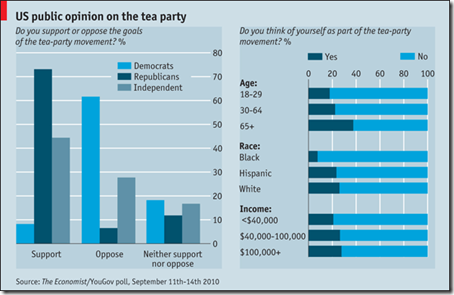 FYI, similar polls put the USA at 40%. But apparently, most people lie about this when asked. Commodity prices are on the rise again. 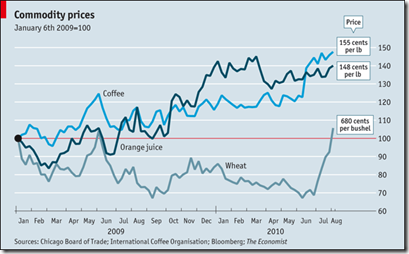 The Economist picked a pretty recent base year for this graph of wheat, orange juice, and coffee prices – a longer trend would have shown the big ups and downs of the past few years. Yikes! Anybody want to re-jigger this to per-capita? Or does that not really matter in this case? Thoughts? 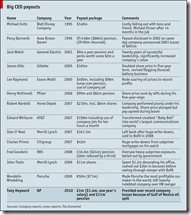 An interesting table of the all-time biggest CEO payouts. 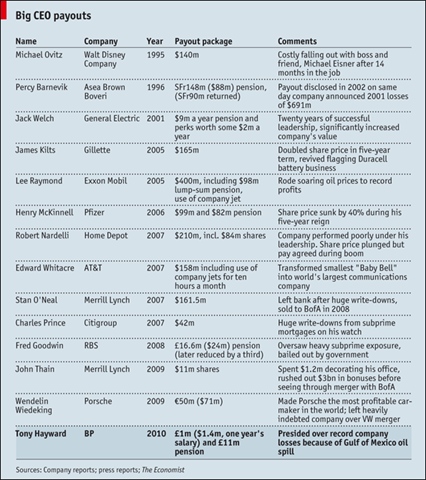 A videographic full of interesting charts and facts. For example: we all watch more television then we think we do. Asia remains the cheapest place to enjoy a burger. China’s recent decision to increase the “flexibility” of the yuan has not made much difference yet. A Big Mac costs $1.95 in China at current exchange rates, against $3.73 in America. 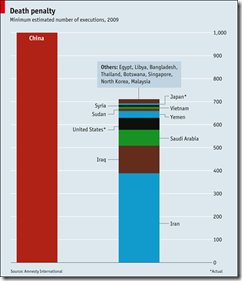 […] In other words the yuan is undervalued by 48%. 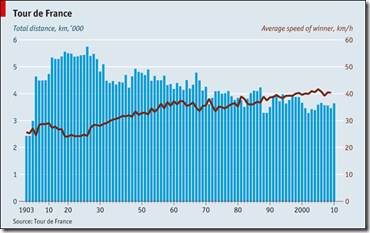 Is the Tour de France Getting Easier? The distance has shrunk considerably while speeds have been increasing.